The Voice of America Bethany Station opened in 1944. The National Voice of America Museum of Broadcasting will celebrate the 75th anniversary of West Chester Township's Bethany Station with yearlong programs highlighted by a presentation by VOA White House Bureau Chief Steve Herman on March 6. Events include a talk by Rod Serling biographer Nicholas Parisi; a program on sound effects from the golden age of radio; a "Hamvention" by the West Chester Amateur Radio Association; and a free four-part series of programs called "The Voice of Truth in America: Celebrating 75 Years of the VOA Bethany Station" with the MidPointe Library System. The Art Deco West Chester relay station, 8070 Tylersville Road, operated from 1944 to 1994. 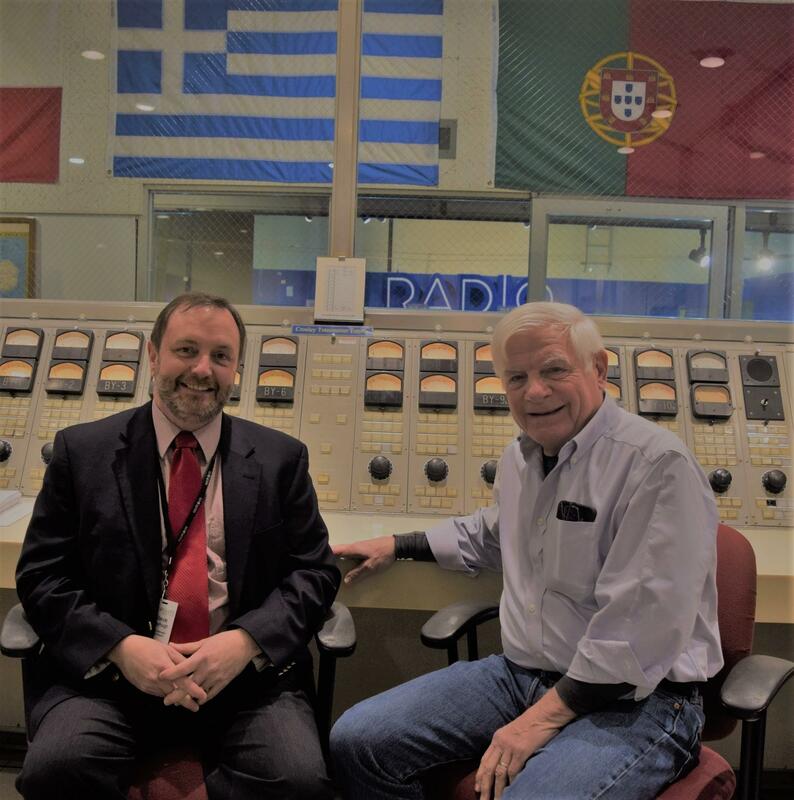 Jack Dominic (right), National VOA Museum of Broadcasting director, and Steve Mayhugh, MidPointe Library West Chester director, in the old VOA control room at the Bethany Station on Tylersville Road. Herman, a Cincinnati native, will talk about "Covering the White House and World” for the VOA. He has spent more than 25 years in Asia reporting from Tokyo, India, Korea and Thailand. He also served as the VOA's senior diplomatic correspondent based at the State Department. He'll explain the VOA's mission today, and talk about the VOA’s public diplomacy regarding disinformation campaigns from China and Russia. Feb. 17: "The Imagination of Rod Serling: A Conversation with Nick Parisi," by the author of Rod Serling: His Life, Work, and Imagination published last year. March 6: "Covering the White House and the World" by Steve Herman, VOA White House Bureau Chief. April 6: "History of the VOA-Bethany Station and the VOA Museum Today" presentation by museum director Jack Dominic at MidPointe Library West Chester Township. 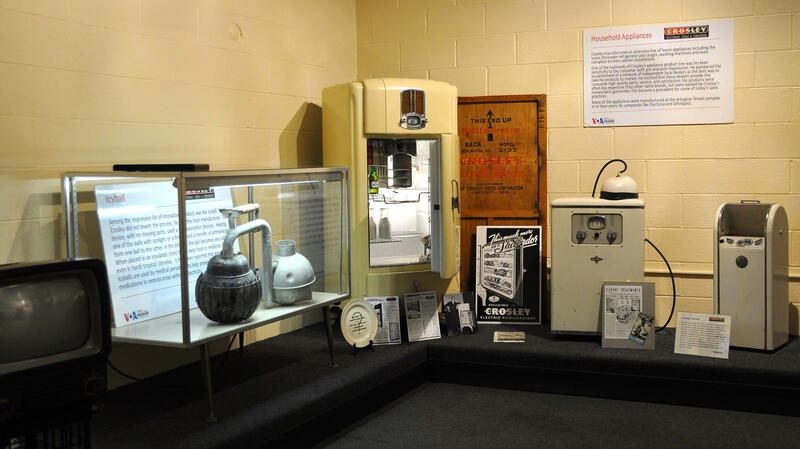 Products manufactured by Cincinnati's Crosley Corp., which also built the VOA facility on Tylersville Road. April 9: "Theater of the Mind: Sound Effects During Radio's Golden Age" with Mike Martini, president of the museum's Media Heritage Collection. May 16-19: "Hamvention Nights at the VOA Museum" with the West Chester Amateur Radio Association. June 5: "There’s a Radio in My Cell Phone!," a children’s STEM (Science, Technology, Engineering and Mathematics) event at MidPointe Library Liberty Township. July 11: "Stealth Antennas for Amateurs Living in HOAs." Sept. 21: The fourth annual VOA Museum "75 Years of Rockin' the Radio" fundraiser. Oct. 18-20: "Jamboree on the Air" with West Chester Amateur Radio Association and area scouting organizations at the museum. 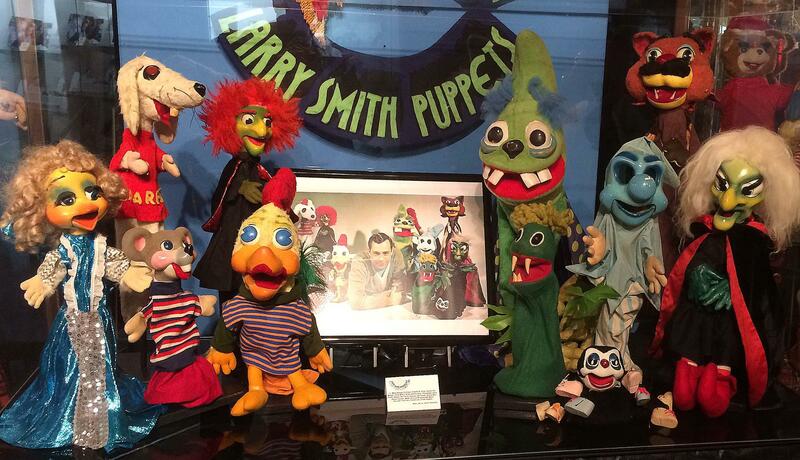 Some of the Larry Smith puppets on display at the VOA Museum of Broadcasting. Crosley Broadcasting employees from Cincinnati's WLWO – WLW-AM's sister shortwave transmitter broadcasting to Europe and Latin America – attended the inaugural VOA broadcast from New York City studios on Feb. 23, 1942. Starting in 1944, the Bethany station transmitted Voice of America broadcasts via shortwave radio to countries worldwide – first in Europe and northern Africa during World War II and to South America during the Cold War, according to Melinda Zemper, VOA Museum board member. Most of the 625 acres were redeveloped for a Butler County park and the Cox Road shopping area. The VOA Museum includes the VOA-Bethany Station control room; the area's largest collection of Crosley products and memorabilia; Media Heritage's Cincinnati Museum of Broadcast History; the Gray History of Wireless antique radios; and the West Chester Amateur Radio Association's WC8VOA station. The museum is open Saturdays and Sundays 1-4 p.m. at 8070 Tylersville Road. General admission is $5 for adults and $1 for children. Museum events are listed at the VOA Museum website. Snarfie R. Dog, Hattie the Witch, Teaser the Mouse, the Treehouse and the Castle… If you loved Larry Smith's puppets, you need to see the collection on display at the National Voice of America Museum of Broadcasting in West Chester Township. Though Rod Serling is most associated with his series, The Twilight Zone, he was one of the most prolific writers during what many refer to now as the original "Golden Age of Television." During his career he wrote more than 250 scripts for film and TV, and won six Emmy Awards for dramatic writing for four different series.